Mayor Sullivan has announced the most recent appointee to his administration: Richard Wilson as port director. 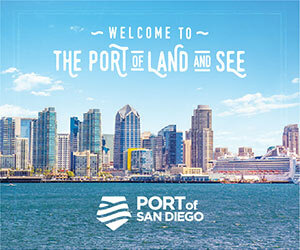 "I'm thrilled that Mr. Wilson accepted the position and I'm confident that he will work conscientiously to address the current changes and issues with the port expansion project" said Mayor Sullivan. Wilson starts at the Port on May 14th. Wilson served as development director for thirteen years during major improvements to accommodate international air cargo expansion at the Ted Stevens Anchorage International Airport. For thirteen years before working at the Airport, Wilson served as City Administrator of St. George, Alaska. He directed port planning, financing, design, and construction as well as negotiation of dock use agreements for a new commercial fishing port in that fisheries rich region of the Bering Sea. Faced with crisis resulting from a contractor who was unable to fulfill contractual obligations, Wilson led a successful transition to finish construction under City management. Industry marketing efforts landed four seafood processors who produced and exported snow crab to world markets. During his career he also served as Executive Assistant to the Anchorage City Manager, contributed to the planned expansion of Cordova Harbor as City Manager, fished for crab in the Bering Sea, processed and marketed fresh seafood products in Homer, and owned a small management consulting business. The 37-year Alaskan earned a bachelor's degree in political science at Pomona College and a Masters in Public Administration from the Maxwell School, Syracuse University. He and his wife Jan raised three children in Anchorage. Mayor Sullivan also said that he would like to recognize Deputy Port Director Steve Ribuffo for his commendable leadership during the transition of management.